Stunning, practical home cooking awaits with the traditional Stoves Richmond 550E Electric Cooker. 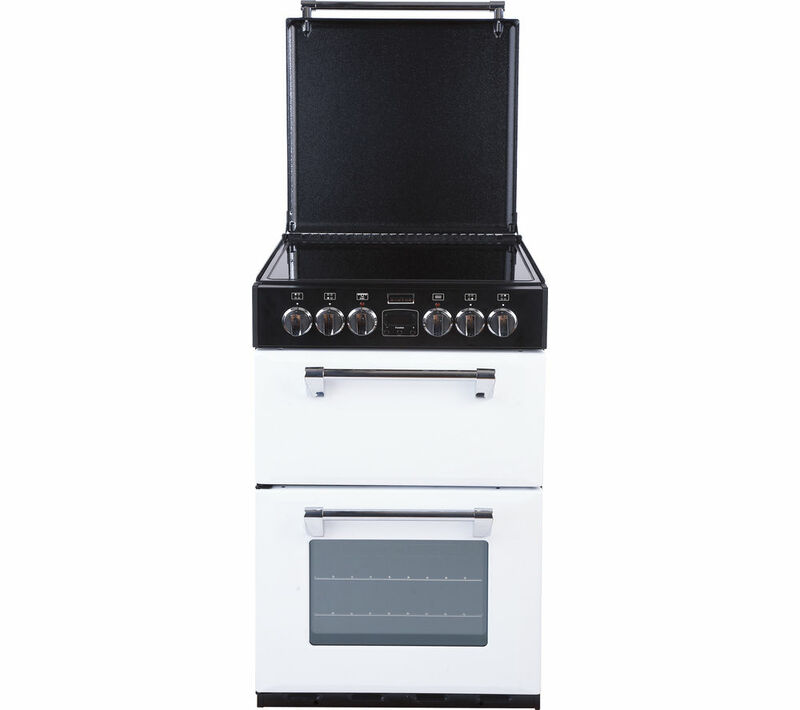 This Stoves Richmond 550E Cooker has a 59 litre main oven offering plenty of space to whip up a delightful meal, and the secondary oven has an integrated grill. 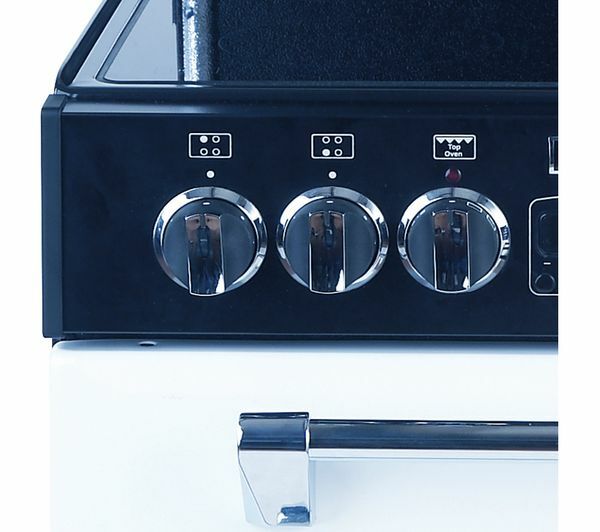 A 4-plate ceramic hob rounds off the package, offering fast heat-up times and safe cooking. The Stoves Richmond 550-E Electric Cooker is recommended by the Energy Saving Trust with an energy efficient A rating, reducing your electrical consumption and saving you money. 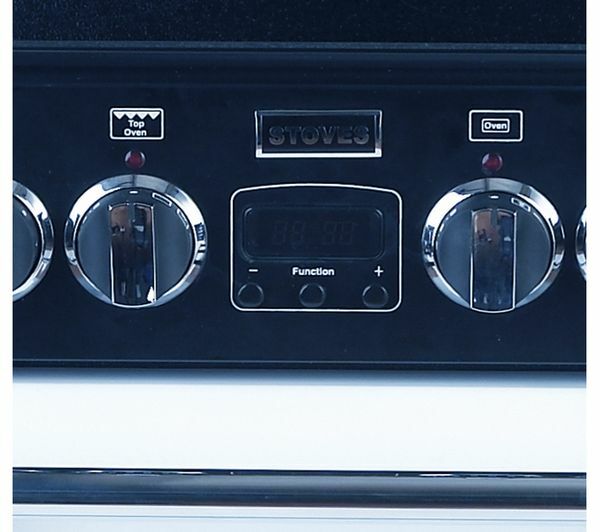 This Stoves cooker is programmable too, so you can let it do the hard work without worrying about your food. 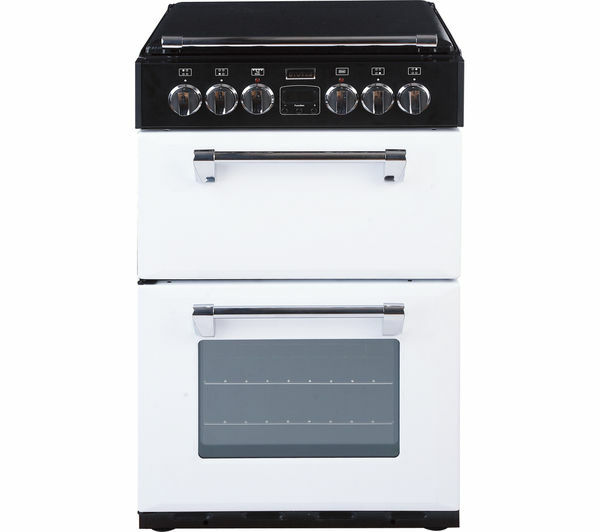 This Stoves Richmond 550 Cooker stands out with a traditional design that comes in a sparkling white colour. The easy-clean enamel oven liners and ceramic hob surface make for effortless cleaning, meaning you can keep your cooker looking as pristine as the day you bought it. Make your kitchen the place to be with the impressively functional Stoves Richmond 550E Electric Cooker. Cooks food perfectly, safety features are a massive plus (got ala 3 year old son who likes to turn the nobs on the front, the lid sensors prevent anything bad from happening) lots of room inside for a compact cooker, loving it!! Loving the semi automatic feature too!! It's hard to find a negative with our cooker, if I was being super picky I'd say the hobs were a bit temperamental as need to cook vegetables at max heat, but I'm being super picky!! Heats up quickly. Having two ovens is very handy. Grill is fast. Looks lovely and the lid is an added bonus. Dials are clear and easy to use. One of few 55cm cookers out there. Perfect fit. Good quality and features. It'll take a bit of getting used to after gas. The top oven takes a while to heat up. We can also install your new appliance on the day we deliver, for most of the UK. Just add installation at the 'Confirm basket’ page during checkout,charge applies. Check the area where the cooker will be installed is suitable and electrical connections meet legal requirements. Disconnect the existing cooker, un-box and check the new product. Connect the new cooker and make sure it’s fully operational. Give a quick demo of the cooker and its settings, then provide you with a copy of the Electric Appliance Installation Certificate. Take the packaging from your new appliance away. If you add recycling to your order we’ll also take your old cooker away for recycling. If you're ordering this item for delivery, add a Repair & Support Plan on the basket page. If you're reserving this item, add a Repair & Support Plan in store when you collect. See more on our Repair & Support Plans for cooking appliances. Compare prices of extended warranties for electrical goods at www.compareextendedwarranties.co.uk from any internet-enabled mobile device, smart phone, PC or laptop.